Starting today, Google is rolling out Android Pay across Canada and into the phones of our friends to the north. 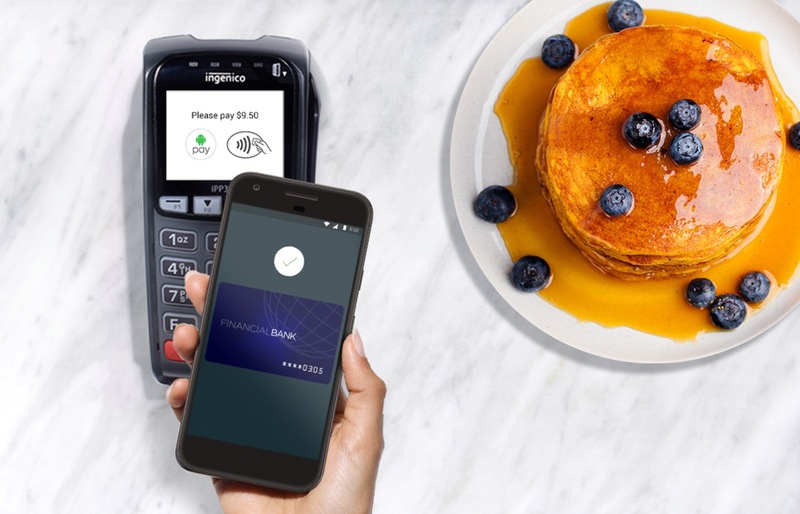 As shocking as it might be that Canada hasn’t had Android Pay until today, I think I’m more shocked that the image above from Google doesn’t feature poutine. Like, come on. It’s Canada, Google, where’s the poutine? I want poutine right now and I’m in Oregon. Missed opportunity, tbh. But yeah! Android Pay in Canada! Google says that the top banks will have access “over the next several days” and that like in the US, they’ll continue to add more over time. To start, participating banks are “BMO Bank of Montreal, CIBC, Banque Nationale, Scotiabank, Desjardins, President’s Choice Financial, ATB Financial, and Canadian Tire Financial Services in Canada, and prepaid Scotiabank and Desjardins cards.” Also, VISA and MasterCard are supported right away with American Express and Tangerine support coming this summer. As for where you’ll be able to use Android Pay, Google thinks you’ll find “hundreds of thousands” of shops including “Tim Hortons, Loblaws, Petro-Canada, McDonald’s, Indigo, Pizza Pizza, Sears Canada and in TELUS, Rogers, and Freedom Mobile retail stores.” You’ll now find Android Pay in some of your favorite apps as well. Now, get out there and tap and pay.